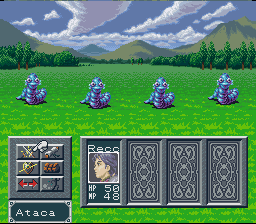 Silva Saga II: The Legend of Light and Darkness is a role playing game for the Super Nintendo. 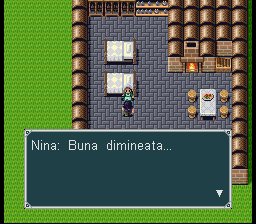 This translation is complete and fully playable in the Romanian language. 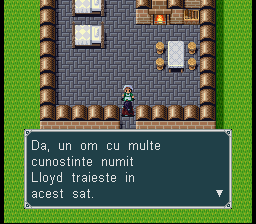 The only small bits of English text remaining appear in a small portion of the introduction and in one of the menu screens which contains images for a few various options (all other menu screens are translated, including the main one). 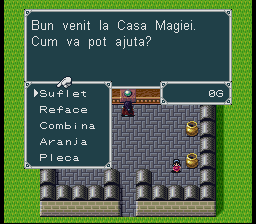 Aside from those small parts, the main script, items, magic and everything else is fully translated. In order for this patch to be applied, the rom must have no header and must be 2.00 MB in size under “Properties”. The original Japanese version of the rom must be used for patching. A readme .txt file is included in the .zip file along with the .ips patch. Recca Translation Romanian translation and splash page. Akujin Original Translation Original English translation. 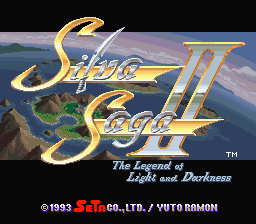 Bongo` Original Hacking Created Silva Saga II text editor. Taskforce Production Created D-D project page.